SACRAMENTO – Earlier today, members of the California Legislative Women’s Caucus (LWC) announced a robust package of legislation and budget action items to further improve the lives of women and their families, as well as the economic future of communities across the state. SACRAMENTO – Today we advance a budget that provides greater opportunities for California’s working families. The two greatest increases in the 2018-19 budget help families rise up from the deepest levels of poverty and address access and workforce needs in our early learning community. We continued our commitment to childcare and, with this budget, have made great gains. Our state’s working families have shown great tenacity and resourcefulness to stay in the workforce, champion the needs of others and creatively meet the needs of their children. SACRAMENTO – Leading together to support women and families in the Golden State, the California Legislative Women’s Caucus (LWC) today released its legislative priorities aimed at protecting and advancing the rights and opportunities for women and working families. The LWC also continues to address child care access for working families and budget shortages in the Department of Fair Employment and Housing relating to the investigation and enforcement of harassment claims. SACRAMENTO – Today is a historic day for the great State of California. Upon being sworn-in this afternoon, Senate President pro Tempore Toni G.
SACRAMENTO – New allegations made today in a Capitol press conference regarding work place misconduct by Assemblymember Cristina Garcia are deeply troubling. These allegations must be taken seriously and should immediately be included as part of the investigation initiated by the Assembly Rules Committee. SACRAMENTO – Today, the California Legislative Women’s Caucus elected Assemblymember Susan Talamantes Eggman (D-Stockton) as its Acting-Interim Chair. 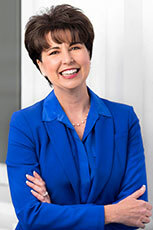 Senator Connie M. Leyva (D-Chino) will continue serving as Vice Chair of the Caucus. 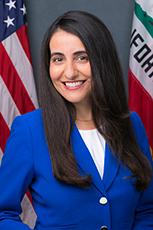 “I am humbled that my colleagues have placed their faith and trust in me to lead the Caucus during these challenging times and I look forward to working closely with Vice Chair Senator Leyva and the rest of my colleagues in the Caucus as we work to promote the well-being of women, children and families in California,” said Eggman.